The original and classic Collected Poems of Dylan Thomas is available once again, now with a brilliant new preface by Paul Muldoon. 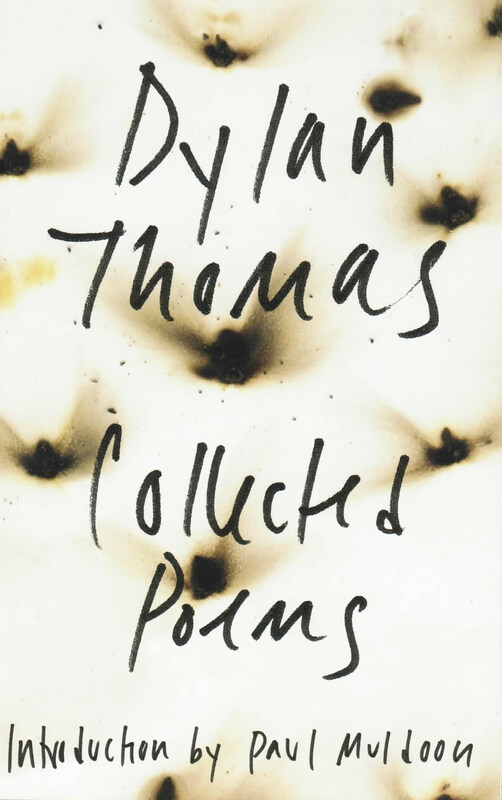 The Collected Poems of Dylan Thomas contains poems that Thomas personally decided best represented his work. The year of its publication, Thomas died from swelling of the brain triggered by excessive drinking. (A piece of New Directions history: it was our founder James Laughlin who identified Thomas’ body at the morgue of St. Vincent’s Hospital.) Since its initial publication in 1953, this book has become the definitive edition of the poet’s work. Thomas wrote “Prologue” addressed to “my readers, the strangers” – an introduction in verse that was the last poem he would ever write. Also included are classics such as “And Death Shall Have No Dominion,” “Do Not Go Gentle into that Good Night,” and “Fern Hill” that have influenced generations of artists from Bob Dylan (who changed his last name from Zimmerman in honor of the poet), to John Lennon (The Beatles included Thomas’ portrait on the cover of Sgt. Pepper’s Lonely Hearts Club Band); this collection even appears in the film adaptation of Cormac McCarthy’s The Road when it is retrieved from the rubble of a bookshelf. [It is] the work Thomas himself had considered most representative of his voice as a poet and, now, of his legacy — a legacy that has continued to influence generations of writers, artists, and creative mavericks: Bob Dylan changed his last name from Zimmerman in an homage to the poet, The Beatles drew his likeness onto the cover of Sgt. Pepper’s Lonely Hearts Club Band, and Christopher Nolan made “Do not go gentle into that good night” a narrative centerpiece of his film Interstellar. A dazzling obscure writer who can be enjoyed without understanding.